Description: Looking for good looking female models with upmarket and charming features for ramp walk project. Budget will be based on profile. Description: Looking for good looking female artists for lead role in a web series. Applicant must have good acting skills. Budget will be based on profile. Description: Fresher/ Experienced Actors required for print shoot of magazine Applicant must be good looking with upmarket features and have good acting skills. Budget- Based on the profile. Description: Looking for good looking female actor with charming looks and upmarket features for a big budget Bollywood movie. Applicants must have good acting skills. Budget will be based on profile. Description: Looking for good looking female models for international magazine shoot. Budget will be based on profile. 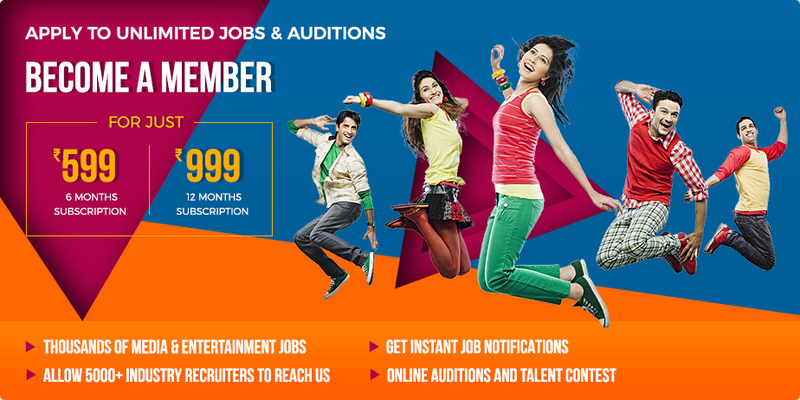 Description: Looking for fresher/experienced artists for supporting role in a Bollywood film project. Applicant must be good looking and have good acting skills. Budget will be based on profile.